Everything was great! Clean, comfortable, cosy and organized! The host does everything to make you feel at home. We will definitely be coming back again! The location was perfect for us, just outside the centre as we had a car. There was a really inexpensive car park close by which was perfect. 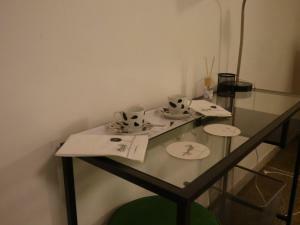 The apartment was modern, clean, excellent aircon and everything we needed for our 2 night stay. Our host was lovely, she greeted us with a refreshing drink, fresh fruit and cake for breakfast and gave us lots of tips to enjoy our stay. 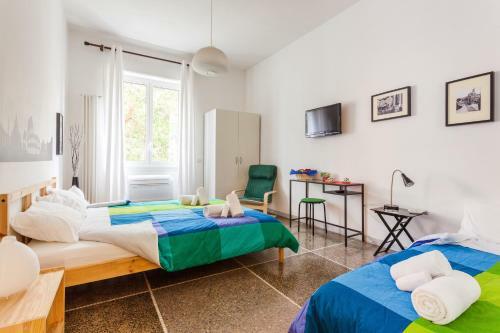 3 good sized bedrooms, although we only needed 1, there was no living room which we thought was odd, however as you are out most of the time we found we didn't really need one. 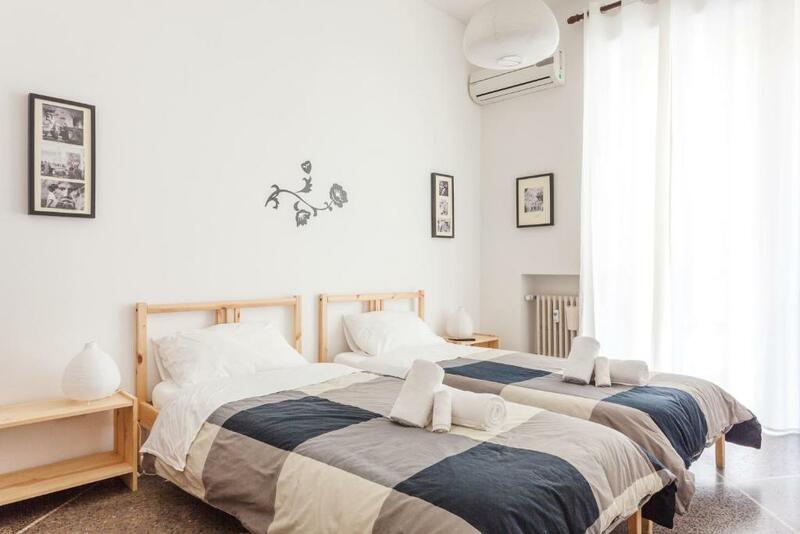 Overall we were very happy with our apartment, excellent value for money and a great location with the tram stop just outside and a short 10 min journey into the heart of Rome. On our last night we found an excellent restaurant just 2 doors away, had a fabulous meal there. Excellent property - clean and comfortable. Carla was an amazing host nothing was too much trouble. Easy check in and out. We had a great time in the accommodation. 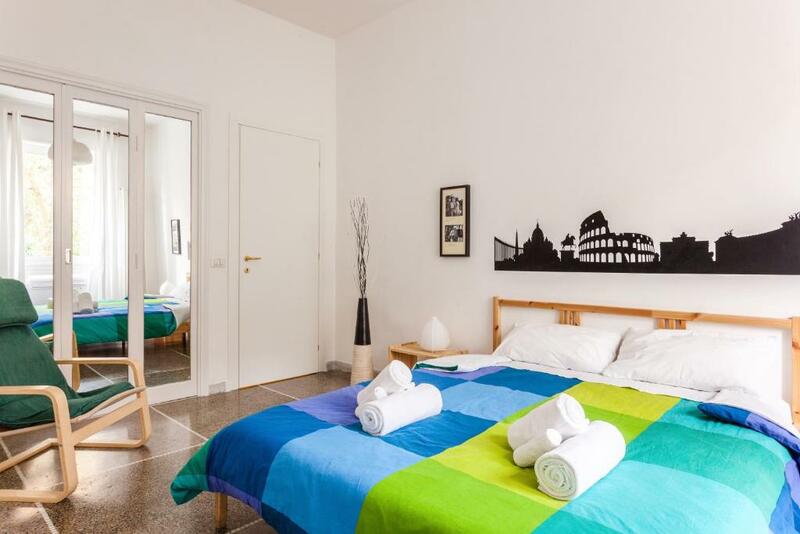 The apartment is well equipped and the beds are very comfortable. Most of the windows are facing the courtyard, so it's quiet. In the surroundings there are small shops and also a bigger supermarket and a market hall. With the nearby tram you can get to the city centre in a few minutes. The best way to get to the Vatican is by bus, which also departs nearby. 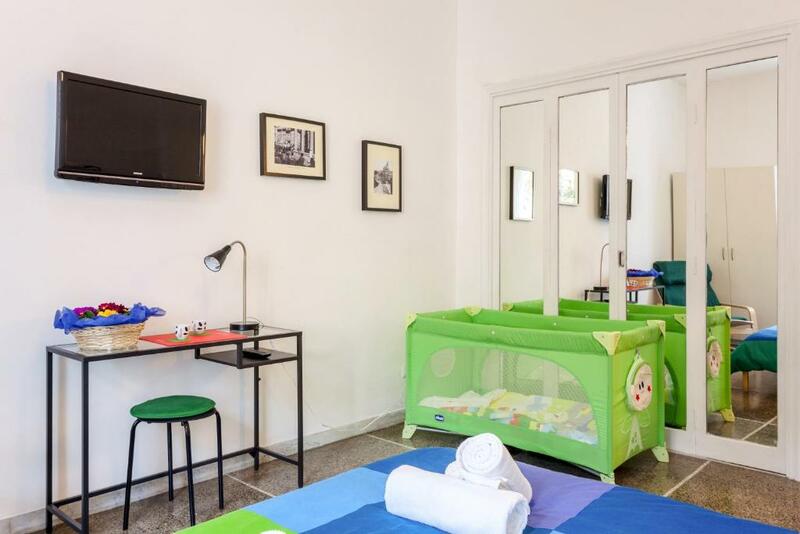 I can highly recommend this apartment, especially for families! 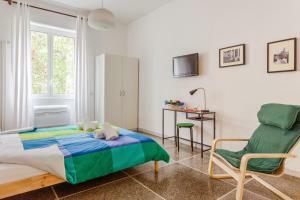 Very good location for our needs and a great clean and comfortable apartment. Great facilities and the host very accommodating and understanding. Nice welcome set up with fruit and juice and little touches that were very good. Transport from the airport was booked for us and we were met at the apartment by the owner who allowed us early access. The apartment was very clean, well equipped and handy to public transport. Tutto il necessario per la colazione, dotazione degna di un hotel 4 stelle! L'appartamento ha soddisfatto tutte le nostre esigenze. Ottima la posizione e la disposizione delle stanze. 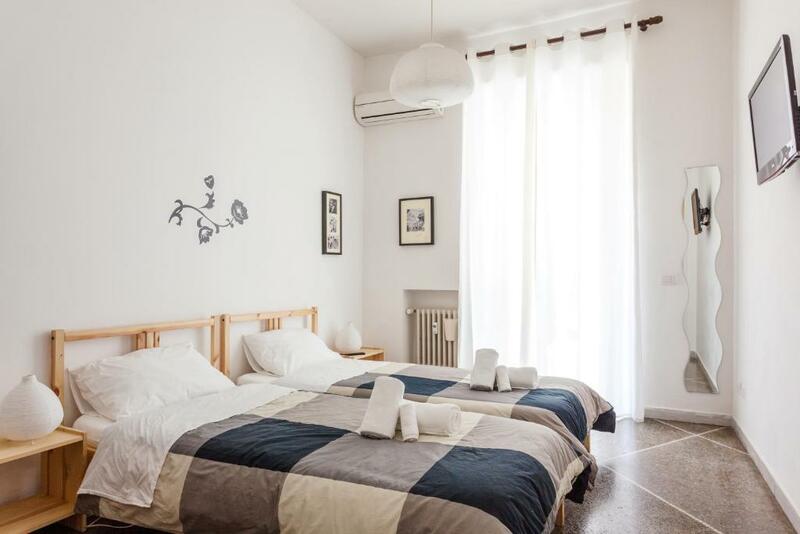 La casa era molto pulita e il letto super comodo! 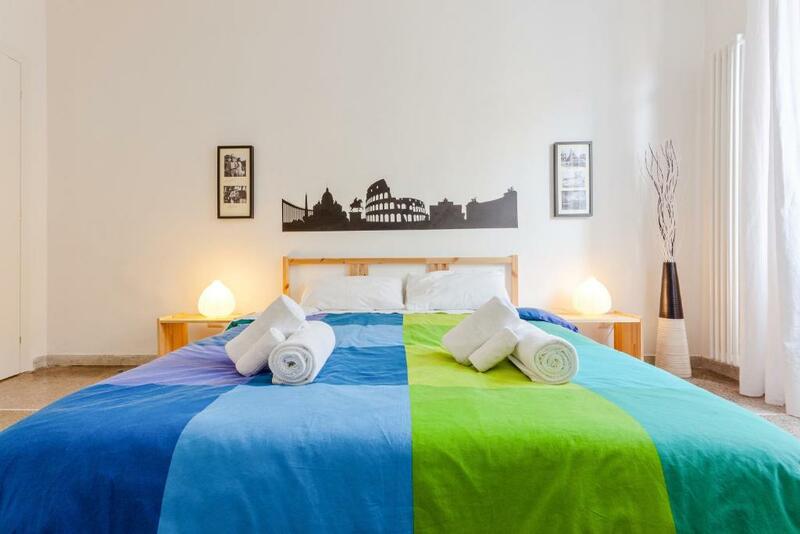 Lock in a great price for VelisHome – rated 9.7 by recent guests! The colorful apartment has a fully equipped kitchen and a private bathroom with a hairdryer and free toiletries. A bus stopping in front of the property takes you to Termini Train Station, while The Stadio Olimpico stadium is less than 15 minutes away on foot. When would you like to stay at VelisHome? 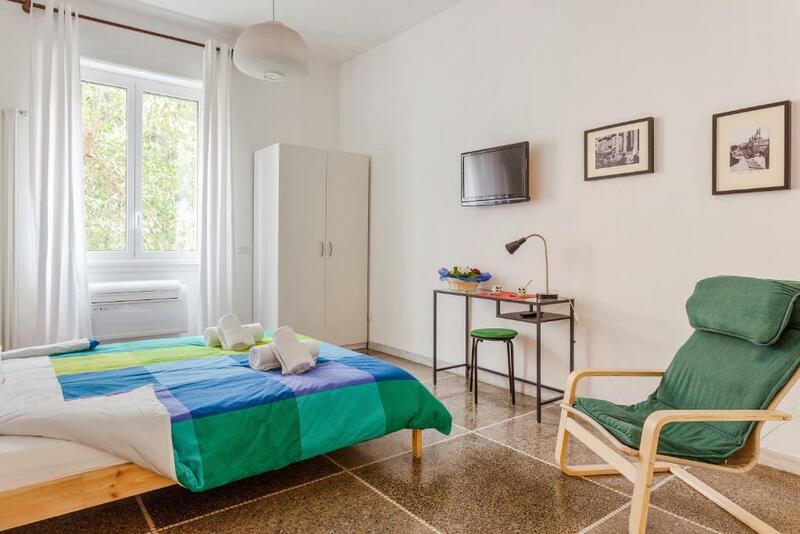 Air-conditioned apartment with a balcony, an LCD TV and a washing machine. Wi-Fi is free. Velishome, is in a very quiet, well stocked by the media. Near the municipal market very characteristic, supermarket, restaurants, many cafes. Direct bus to the Vatican No. 280. All linen sanitized with Igien Wash. Hello!! I'm Carla, I love my city and I I like to share it with my guests. I love art in general, painting, photography, theater, cinema. House Rules VelisHome takes special requests – add in the next step! Although the apartment has three bedrooms, there is no lounge. The only common area to sit together is the kitchen. This did not bother us but could be a problem for a larger group.